Ben venuti! 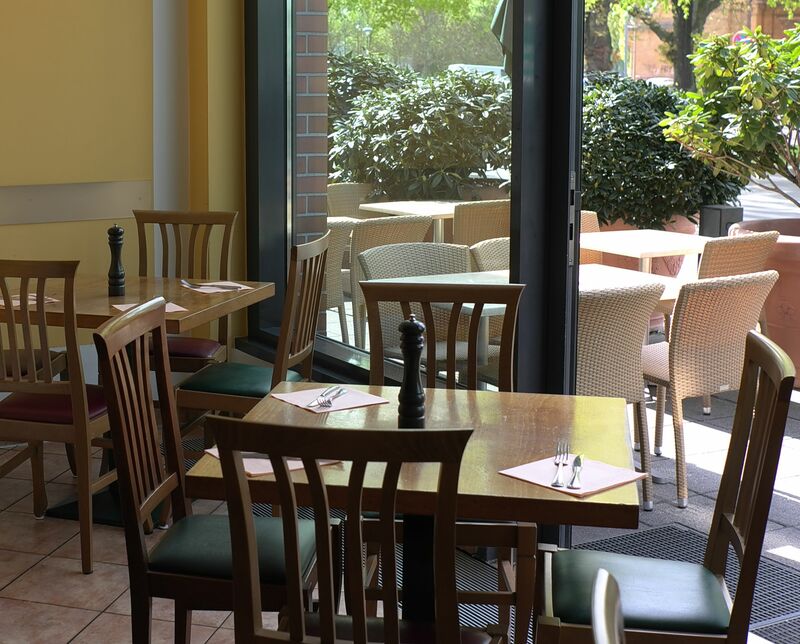 – Welcome to the Ristorante Marinelli, open seven days a week from 12.00 to 24.00. Enjoy delicious Italian cuisine, seasoned with the finest ingredients and accomplished by regional wines. We are a little part of Italy – right in the heart of Berlin. The Ristorante Marinelli is situated across the historic building of the Anhalter Bahnhof, only a few minutes to walk from the Potsdamer Platz, where the lines of the Metrobusses 29 and 41 cross each other. The restaurant offers about 100 seats and, during summertime, additional a sunny terrace with 50 seats. We would advise you to make a table reservation. Experience how variety is the spice of life at Ristorante Marinelli. We offer a weekly seasonal menu and a daily business lunch special from 12.00 – 15.00. All meals can be ordered to go. For larger occasions we offer our own complete catering service. We are always there to create an authentic, hospitable Italian Dolce Vita feeling for you!